I hadn't tried anything by Benefit until last year and now I'm fast becoming hooked on the brand! The POREfessional is a PRO balm designed to minimise the appearance of pores. Benefit describes it as oil free, lightweight, translucent and silky. After using it these last few days I have to say I agree! It's designed as a dual action product, to be used to prime the skin in the morning and as a touch up to apply over make up during the day. You only need to use a small amount each time, apply a thin layer concentrating on your t zone and lightly pat using your fingertips to blend it in. 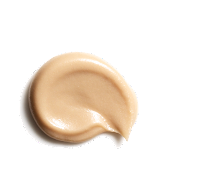 The balm is a beige colour when squeezed out of the tube but quickly turns translucent when applied. It feels light, leaves your skin feeling really soft and silky smooth, and helps with any imperfections giving you a flawless finish. I find it helps my make up last longer during the day. Although it is quite pricey I think it's a great primer and it leaves your skin feeling gorgeous so I would consider re-purchasing it in future. Are you a Benefit addict? oooo I may have to try this out! I love Benefit! I'm a massive Benetint addict and I love Brow Zings which is such a amazing eyebrow kit, they are so worth the money! I do love the sound of this! Just wish it was a little less pricey! Maybe one to remember for my birthday treats I think. I bought this recently and I go back and forward on it. I really liked it at first, but then I forgot to take it away with me and when I wasn't wearing it I wasn't sure if my skin looked better! Think I need to give it another go though, with a slightly less heavy hand than recently! Great post, I love it aswell! I think that if Benefit was cheaper, I'd be ALL over it. I treated myself to The Porefessional a couple of months ago and I really like it, I just wish it was a little bit cheaper haha! I love this stuff, but not to top up over make up, I find it just makes things worse? Am I doing it wrong? haha!